Exhibit 1 shows the frequency of monthly returns (expressed in 1% increments) for the S&amp;P 500 Index from January 1926 to June 2016. Each horizontal dash represents one month, and each vertical bar shows the cumulative number of months for which returns were within a given 1% range (e.g., the tallest bar shows all months where returns were between 1% and 2%). The blue and red horizontal lines represent months during which a presidential election was held. 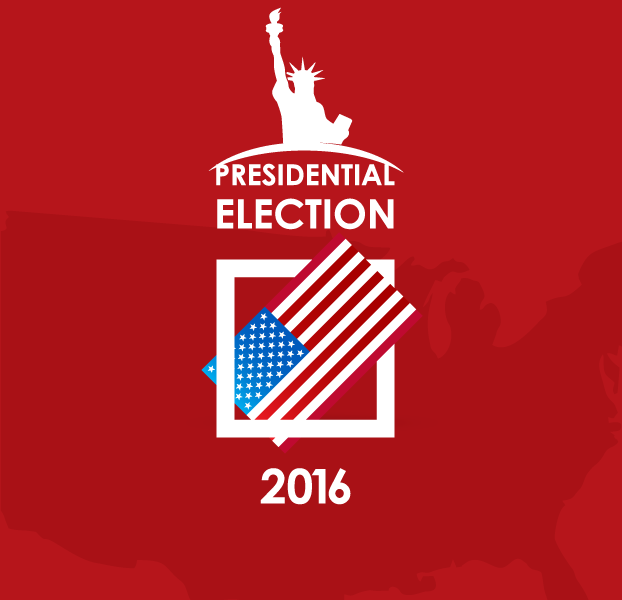 Red corresponds with a resulting win for the Republican Party and blue with a win for the Democratic Party. This graphic illustrates that election month returns were well within the typical range of returns, regardless of which party won the election. Exhibit 2 shows the growth of one dollar invested in the S&amp;P 500 Index over nine decades and 15 presidencies (from Coolidge to Obama). 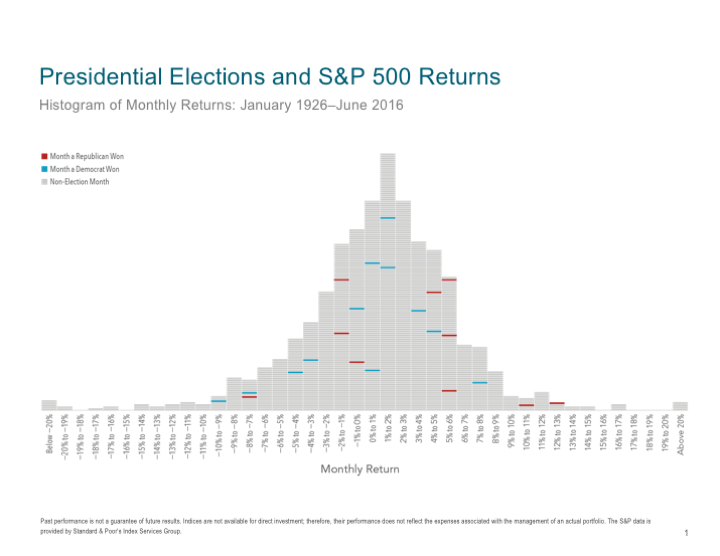 This data does not suggest an obvious pattern of long-term stock market performance based upon which party holds the Oval Office. 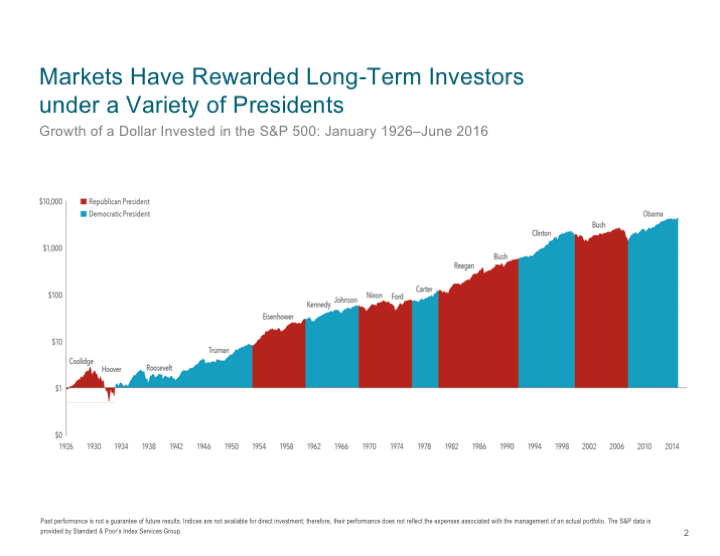 The key takeaway here is that over the long run, the market has provided substantial returns regardless of who controlled the executive branch.